From the creek meandering through the town, to the dozens of unique shops and eateries, spend some time in paradise. Walk through the streets of Salado and see this small town sitting at the edge of the Texas Hill Country come alive with the panache it’s been known for over the years. From small shops, to fine art galleries, great restaurants, exclusive amenities and much more, Salado provides a destination stop for people wanting to get away from the busy city life while enjoying the serene surroundings. 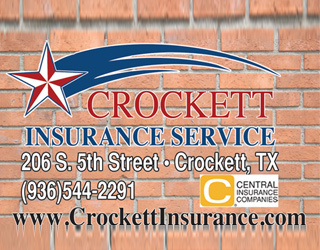 Salado is located in southern Bell County, just south of Belton, conveniently situated between Austin and Dallas on Interstate-35. ple to its clear waters for centuries. It began in earnest in 1859 when the Salado College was founded. 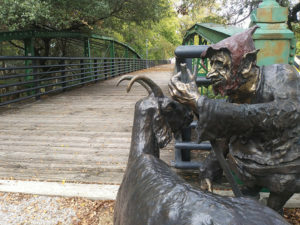 Salado already was a popular stop on the Old Military Road crossing across Salado Creek, and the Stagecoach Inn. The creek provided water and also industry as it powered several mills in the Salado area while the college provided for the higher educational needs of the families. The college operated until 1885; a private high school operated in the building until 1913. Today, the ruins of the college remain upon the hillside overlooking the village of Salado. rovide varied and delicious offerings. Music can be found in the Village and in many merchants with strolling carolers and instrumentalists. The stores are open late on Friday and Saturday. isit to the Salado Fire Department. 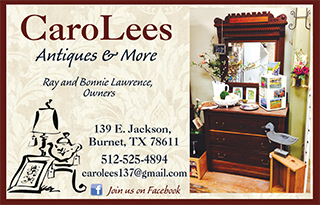 omes, two chapels, a Masonic Lodge, the LBJ/Baines family museum and the Salado Historical Cabins. Tickets can be purchased at the Salado Visitor Center, call (254)947-5040 for more information. No photographs are allowed inside the home. o 5 p.m. Saturday, Dec. 2; and from 1-4 p.m. Sunday, Dec. 3. First Baptist Church Salado holds their Living Nativity both weekends of the Salado Stroll, so attend this special event to understand the real reason Christmas is celebrated around the world. he story of Scrooge and his visit from three ghosts that set him on the path of a righteous man. nts Salado has something noteworthy throughout the town, every block, every corner has a landmark of some sort. following decades. 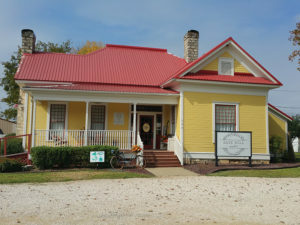 The Berry family was the third to occupy the historic home. 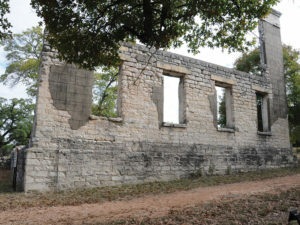 The Vickrey family became prominent in Salado in the years after the Civil War, and much of its success is due to the family. 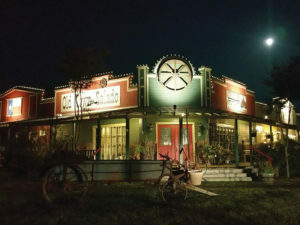 Current owner, and operator of Sage Hill Market, Julia Broadway, has worked to keep the old building true to its historic past, like many business owners across this historic little town along Interstate-35. The house has received a few upgrade here and there over the years, but the floors are still original, the walls re in their rightful places, about the only major structural work that had to be done on the old building was to refurbish and restore the old home’s chimneys, which are now functional. The goal through it all was to keep the home as original as possible. Dozens and dozens of historic homes line the streets and countryside around Salado, including the beautiful Rose Mansion, located off of Royal Street, just a few blocks east of Main Street. The house and its outbuildings are truly a step back into another time and place in the history of this region of Texas. Salado has so much to see and do, whether it’s surrounded by the Christmas holidays, or just a place to stop and unwind for a weekend — or more. Salado also is home to Mill Creek Country Club, a golf course designed by famed golf course architect Robert Trent Jones. 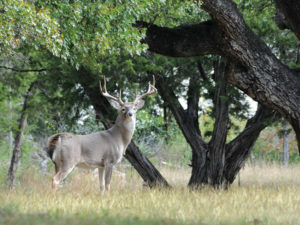 Salado truly does have something for everyone. 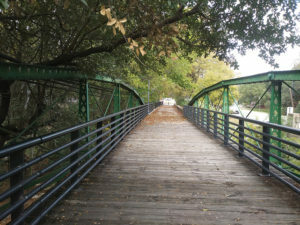 To learn more about all the things to see and do in and around Salado, visit www.salado.com to get an idea of this amazing town.